Young people are not the usual attendees at Death Cafés. Perhaps this is because their youth makes death seem a remote prospect. Or because they are too busy trying to get a foothold in our precarious, zero-hours contract economy to spend too much time contemplating the hereafter. Instead of pondering young people’s absence at such events, we decided to take the event to them to see what they would make of the format. And with fascinating results. We organised two Death Cafés with HNC Social Services students from Dumfries & Galloway College in March 2018. With the help of Brian Hall, a Lecturer at D&G College, we ran the first café at the College’s Crichton Campus. This is one of a number of collaborative events organised on the Campus involving the different institutional partners. Fifteen students attended this first Death Café and the conversations were rich and poignant, as well as filled with laughter. Perhaps death and dying really is ‘everyone’s business’, as the public health model of palliative care would have us believe. Some of the themes arising included how early childhood experiences of death can leave a lasting impression on us, miscarriage grief, fears of specific modes of dying (dementia featuring heavily), the loneliness and isolation that older people can experience at the end of life, and how and by whom we would want to be cared for. Some of the College students work in the care sector and care for older people with dementia, some of who had died in their care. Death was not a distant experience for these college students – either professionally or personally. 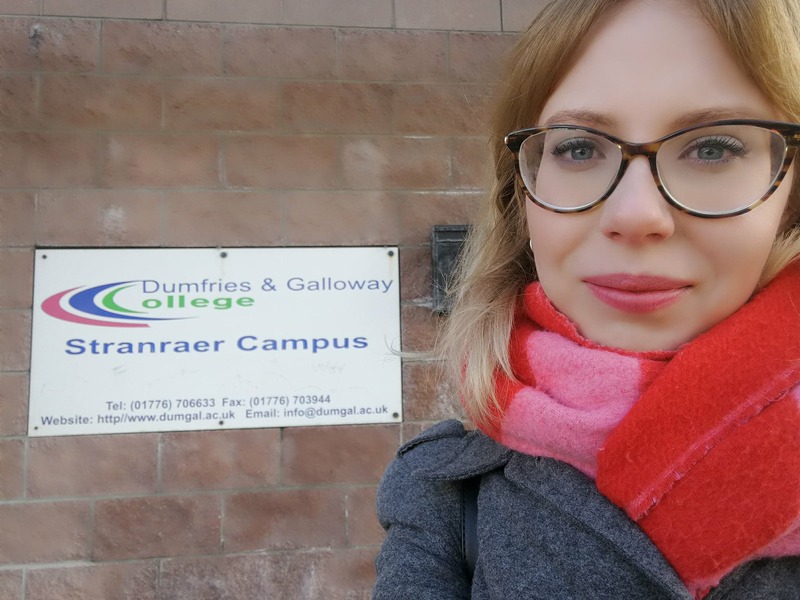 Solveiga Zibaite, PhD candidate and member of our Glasgow End of Life Studies Group, participated in the second Death Café at the Stranraer campus with a smaller group of students. Some of the topics discussed were the value of being present as a family member dies, preferred burial options, the personalisation of funerals, as well as the increasing importance of managing one’s digital legacy. This shows how important it is to consider the emerging ways in which death affects us. After hearing about the event from Brian, some of the students said they thought a Death Café would be morbid. This is a fairly common reaction to the name ‘Death Café’. But the Death Café ethos is to reject the use of euphemisms which are so commonly used to promote awareness raising events on this topic. Afterwards, the feedback from the attendees was overwhelmingly positive. One student said the experience was ‘cathartic’. The casual setting – a cuppa whilst rushing between classes – honest discussions, and lemon shortcake on the side, appeared to make for an uplifting experience. This experience indicates that the Death Café model can work for young people and can be a good reflexive educational tool. 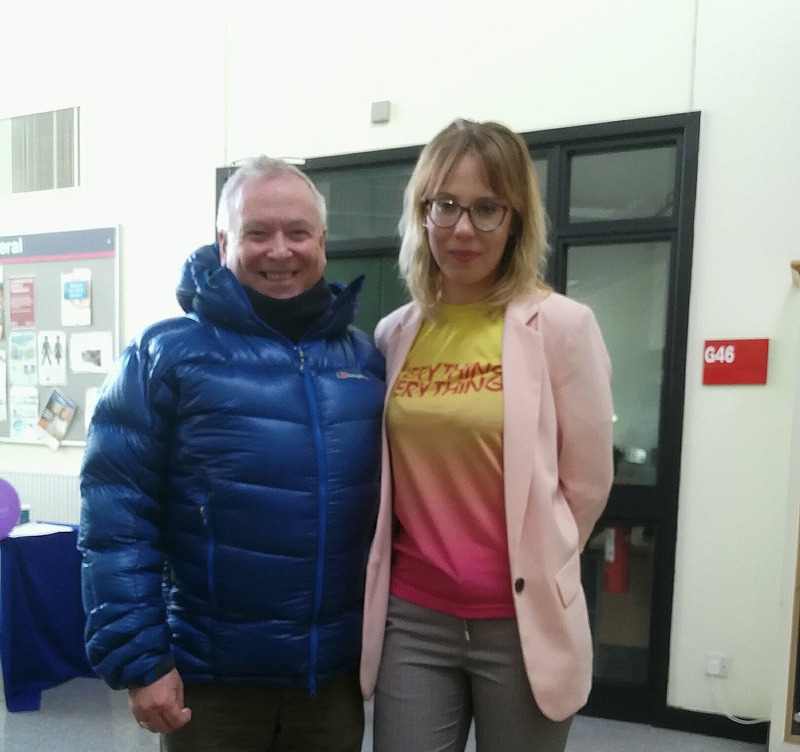 I would like to say thank you so much for sharing your wonderful blog. It reminds me of someone especial of my life before.